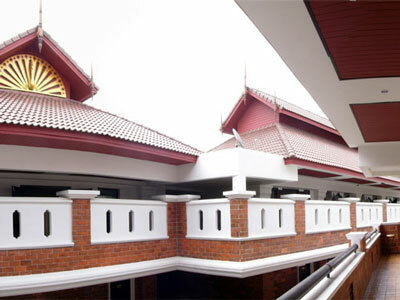 Raming Lodge Chiang Mai is located in the heart of the city on the road that connects the historic moat with the night bazaar area. Opened in 2004, the convenient location is conducive to your need to travel around the city sightseeing the beauty of Lanna culture that the Raming Lodge tries to exemplify in its layout and room design. Standing on the Loikroh Road, the hotel provides easy access to historic sites such as the Ta-Pae Gate and Wat Prasing. The famous Chiangmai Night Bazaar, the airport and train station are only minutes away. The Raming Lodge has a selection of rooms decorated in Lanna (traditional northern Thai) style with warm woods and natural fabrics with modern and stylish amenities. offers an ideal place for all occasions whether for a board meeting, product launch or a private party.